Rugged Geek RG1000 Safety – NEW 1000A Portable Lithium Booster Pack Jump Starter and Power Supply with LCD Display. NEW! 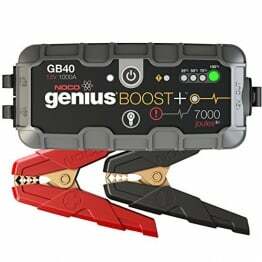 Rugged Geek INTELLIBOOST 600A Portable Jump Starter and Power Supply with LCD Display. USB Laptop Charging. Emergency Auto Jump Pack for Cars, Trucks, SUVs and more.